Your tax return must be accurate. While the IRS doesn’t mind spelling mistakes, they do take numbers very seriously. If math isn’t your strong suit, then you should have someone look your return over. You should also double-check and triple-check that everyone’s names are spelled correctly and that you’ve entered the correct Social Security numbers for everyone. Last but not least, all your deductions must be supported with evidence – not necessarily to send in with your tax return but to defend your return in the case of an audit. 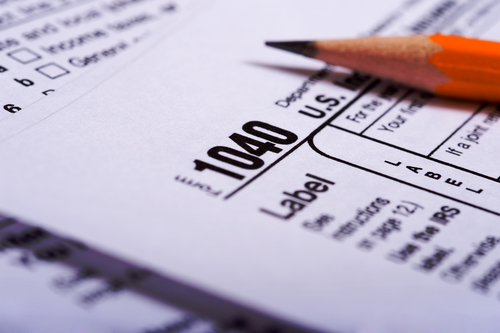 While the IRS wants you to pay taxes, there are many legal ways to minimize your tax liability. It makes sense to hire an accountant to save you money on your tax bill. For a lot of people, hiring a CPA is a no-brainer, because you save more money on your taxes than you spend on tax return fees. And even though tax laws change every year, your CPA is always up to date. Even if you’ve read through a form 1040 return line by line, you may feel unsure about one or more items. While you can certainly go to the IRS website and read the instructions for each form and each line item, that may not help you understand what that means for you. The IRS is probably not intentionally trying to lead you astray, but their forms are complicated at best. If you’re not sure about certain deductions or what you can itemize on your return, your CPA is the one to ask. They will explain the issue in terms anyone can understand. Even though 2018 has just begun, it’s not too early to start thinking about taxes for next year. The time to minimize your tax liability is now. Your CPA can help you devise strategies you can implement to reduce your taxable income or increase your deductions throughout the year. This may involve setting up tax shelters, but your tax specialist may also advise you to increase your W2 withholding. That’s because the goal isn’t necessarily getting a big refund during tax season. Instead, you’ll want to pay as little as possible overall and avoid giving the IRS an interest-free loan throughout the year at the same time. Tax time is a little bit like the time of reckoning. Once a year, your CPA gives you a big overview of what your financial situation looks like. When you see how much money you’ve earned and spent, you may feel inspired to make different financial decisions in the current year. It’s important to understand that there are always two sides to the story, too. While you could try to save more money, you can also increase your net income by earning more money. If you’re already running a business, you can work on scaling it up. But even employees aren’t limited to earning money through wages. These days, many people are starting small businesses on the side to reach their financial goals. Your CPA is not a stockbroker. However, they can help you start saving for retirement by explaining the options that are available to you. Between 401(k), IRA, and Roth IRA, there are many different options you can take advantage of. After you’re done taking care of your 2017 income taxes, ask your CPA how you can maximize your retirement fund contributions this year. It’s a good idea to consult with your CPA for filing your income taxes. Not only will they ensure that your return is correct and includes all possible deductions for your situation, but they’ll also answer your questions as you go along. Should your return get selected for an audit, your CPA will be happy to represent you. In fact, they’re probably the only person you know who doesn’t mind dealing with the IRS.